Aug. 1, 2018 ( Courtesy of CBC.ca ) – Former Winnipeg real estate broker David Joseph Douglas has been sentenced to six months in jail and is barred from real estate or lending activities for three years. Judge Brent Stewart accepted the joint recommendation from the prosecution and defence lawyers in Tuesday’s sentencing. In December 2015, Douglas was charged with six counts of fraud over $5,000, three counts of theft over $5,000 and three counts of forgery. This past February, Douglas pleaded guilty to two forgery charges related to falsified documentation as part of mortgage applications on two Winnipeg properties. The Crown stayed the 10 other charges. Crown lawyer Peter Edgett told CBC News the staying of charges was in part related to new information that came to light that scuttled the likelihood of conviction on two of the original charges. Other charges were stayed as part of a plea bargain, he said. In 2016, Douglas was permanently barred from being a real estate broker by the Manitoba Securities Commission after he was found guilty of fraud by their internal review board under the Mortgage Brokers Act and the Real Estate Brokers Act. He was slapped with a $60,000 penalty and required to reimburse the commission for $21,000 in costs. One of the original complainants against Douglas says she is appalled that so many charges were dropped. 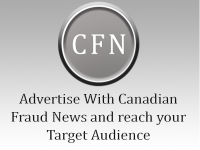 “You can get away with lying and forging and stealing and fraud because nothing too serious is going to happen to you once the legal system gets involved,” Angie Zubrin told CBC News. She says she and her husband lost thousands in a deal with Douglas. “What really has been swept under the rug here are all the other people and families who were caught up in David Douglas’s spider web of deception and lies,” she said. While the court proceedings related to the mortgage document forgery played out, Douglas launched a charter challenge over the manner in which a search warrant was executed. As part of the original mortgage fraud investigation, the RCMP obtained warrants to search Douglas’s home and place of work. The warrant authorized the seizure of, among other things, “legal correspondence,” which Douglas argued was protected under solicitor-client privilege. Court documents show the appeal court agreed with this argument in 2017 and struck out the wording related to legal documents from the warrants. That forced RCMP to return those specific documents to Douglas and prohibited officers from disclosing or using their knowledge of the contents of those privileged documents as part of their investigation. The Crown said that caused lengthy delays in bringing the case to an end.